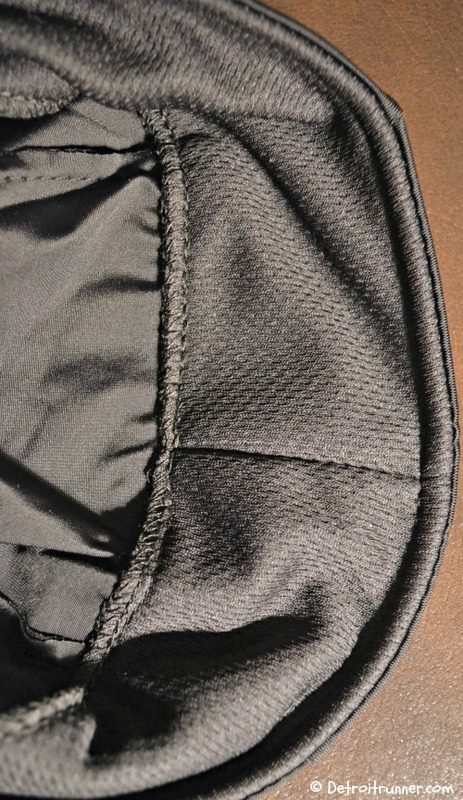 Essentially the beanie is a mid weight beanie that adds together Eventure Spandex with an Eventure Terry sweatband. This gives it similar properties of the Super Duty moisture management system but allowing it to be a lightweight beanie. It's made for cold weather and is great for running but it can also be used under a bike helmet for you die hard bikers still out there in the cold. This is different from any beanie that I have since much of the beanie feels very light except for the sweatband. The fit is very comfortable giving enough pressure to stay firmly on your head but it's not restrictive. As you can see there is approximately a two inch plus sweatband around the beanie. This works awesome in that it keeps your ears nice and warm. My concern was the thin nature of the beanie on my head especially given my follicly challenged head. Ha! What I found out is that it is a bit cold to start the run with but after you warm up about a half mile, as with any beanie, it keeps your head warm. In fact, I would say that if you a person that prefers not to sweat on a cold weather run, this is a great choice because the materials help keep your head temperature comfortable but not so hot that you are sweating in it. If you are biker, then it's ideal since it fits under a helmet and would not make you too hot while wearing it. The Toaster beanie is geared towards cyclists which makes sense, but really is a dual purpose beanie so it's still great for the runner. After every use, I wash my beanies and, as expected, Headsweats does not disappoint in regards to quality. Both their hats and beanies are the best quality I've ever used and you will never be disappointed in any Headsweat hat you purchase. This is a great Christmas gift for any runner or cyclist and Headsweats is my recommendation in this years Holiday Gift Guide for Runners in regards to hats. 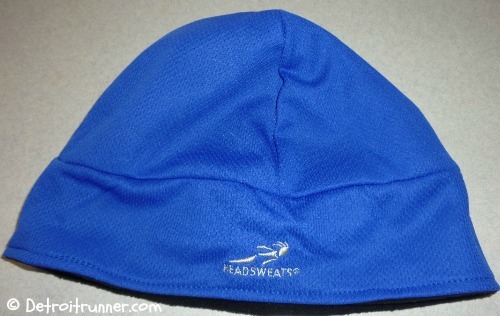 Interested in learning more about the Headsweats Toaster Beanie? Go to their Twitter page HERE. Plus when you shop now until 12/31, they are offering 20% off everything at their online store. Please go to their Facebook page for more details. I've been looking for a new running beanie. My old one died. I may have to invest in this one! They have lots to choose from including this one!